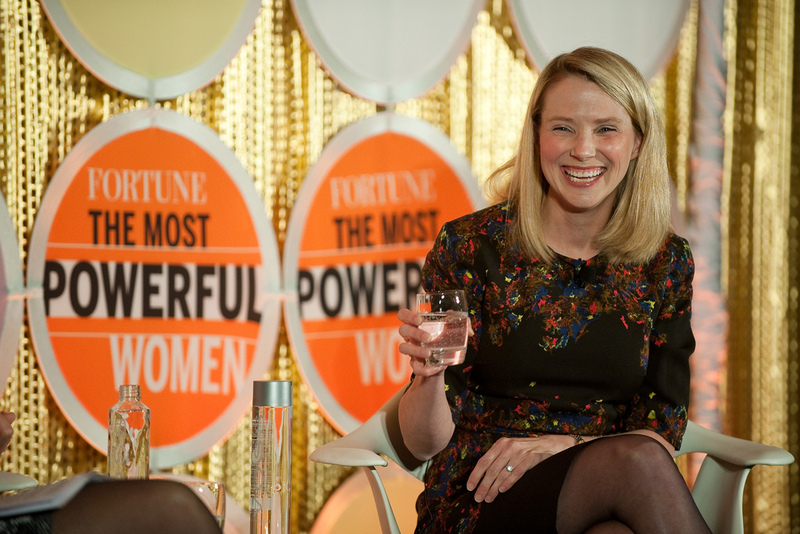 Could I be the only person in the world to write something and not to mention Marissa Mayer? Of course not. When she took over Yahoo a few years ago I was a big supporter. I liked the idea of a young talented and hardworking lady saving a dying digital giant. Also, I’m emotionally attached to Yahoo. I’ve been using Yahoo mail for almost 15 years now. Then she started forbidding people to work from home. I liked that a lot! I’m a big fan of enjoying your working environment and having fun during your work day. But, working from home became something totally opposite from its purpose. Some people were able to totally mix their personal and professional life (which I think is wrong for them), team work started suffering and people obligated to stay in the office suffered even more. So, good job Marissa! But, then later on, it became clear that nothing epic or good will happen to Yahoo. Was it a lost cause even before Marissa took over? Then she started giving us examples on how she succeeded in life or better yet – career. Being successful in life is much more complicated than having a successful career, believe it or not. Coming back from maternity leave directly from the delivery table and giving advice that we should all work 130 hours per week if we want to succeed and all those stories that celebrate the pain of dedication to work above any logical or human line. Live in your office, die in your office and become a hero in your own imagined universe. It’s a pretty diabolic approach. And then a few weeks ago it became clear that a big part of Yahoo must be sold. It’s the only solution. And then you start asking yourself: Did this plan already exist 4 years ago? Is that why Yahoo’s board tolerated bad leadership of Marissa Mayer? Is there a special type of person who is suitable to lead a company toward sale or downsizing? Is Marissa going to be happy with her millions, one big failure in her career and troubled teenage kids whose mother had better things to do right after they were born? If someone makes a couple of good and interesting moves, it doesn’t mean he/she is capable of building a good and productive company culture. Without proper culture you will always fail. Boards quite often hire people incapable of successfully leading complex organizations and big changes simply due to the fact that they have a publicly presented vision: save the company and make it strong, and a real vision and plan: downsize and sell/close. Women are perceived as better in executing downsizing, preparations for acquisitions and closures of the companies (I have personally experienced that a couple of years ago, so I’m not judging from Marissa Mayer’s case only). This conclusion (my own, I don’t claim it’s true) was a big surprise to me, since I would expect exactly the opposite. In a time when many amazing women in business are fighting a big battle for their equal rights (and I’m not talking only about the level of salaries) a case like Marissa’s and many similar lower profile cases are – in my opinion – creating a far bigger damage to this battle then any ridiculous public statement of frustrated male executives. Cheers to good old Yahoo with a hope that I will use my e-mail account for at least 15 years more. Not because it’s really important but because there is something nice in irrational emotions and nostalgia.